No sleep for twenty hours. No food for ten. And a ward full of soon-to-be mothers... Welcome to the life of a midwife. Through her eyes, we meet Eleanor, whose wife is a walking miracle of modern medicine, their baby a feat of reproductive science; Crystal, pregnant at just fifteen, the precarious, flickering life within her threatening to come far too soon; Star, birthing in a room heady with essential oils and love until an enemy intrudes and Pei Hsuan, who has carried her tale of exploitation and endurance thousands of miles to somehow find herself at the open door of Leah's ward. 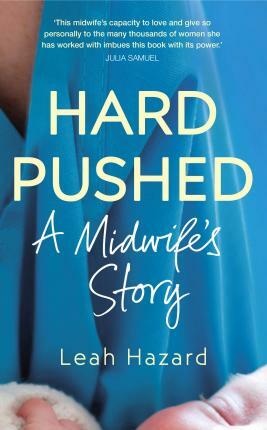 Leah Hazard is a serving NHS midwife. Having studied at Harvard, she left a career in television to pursue her lifelong interest in women's health after the birth of her first daughter. She soon began working as a doula, supporting women in pregnancy and attending numerous births in homes and hospitals across the country. The birth of Leah's second daughter prompted Leah to make the leap into midwifery. Since qualifying, she has worked in a variety of clinical areas within the NHS maternity services, including antenatal clinics, triage units and labour wards.